In the Summer of 2014, my mother, Tracey Cox suffered an ischemic stroke (a blockage of the blood supply to the brain). She was transported to our local hospital then airlifted to Central Baptist Hospital in Lexington Kentucky, the best stroke center in the state. She was immediately placed in ICU, where she would remain for 17 days. Her initial prognosis was good, but unfortunately 4 days later my mom suffered a major hemorrhagic stroke, or the result of blood leaking directly into the brain. This second stroke almost took her life and my mom’s prognosis was downgraded severely with no predicted level of recovery. Because of the second stroke, her surgery to remove the blood clot was postponed indefinitely, as she was not strong enough to endure the procedure safely. My mother remained in the ICU into August, when she was transported to Cardinal Hill Rehabilitation Hospital where she endured many hours of attempted rehabilitation to try to recover as much functionality as possible. She finally went home and endured many therapies over the next year, but unfortunately due to her condition she now requires a full-time caregiver. My father was forced to quit his job in order to provide her with assistance in her daily life. 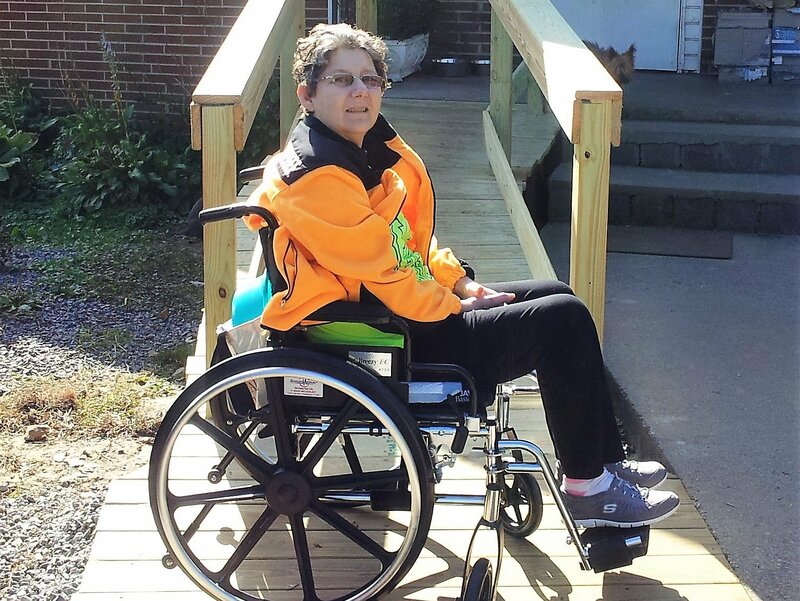 My mom has decreased sensitivity on her right side, and is in danger of falling. She is in a wheelchair full-time, and requires assistance transferring to and from her wheelchair, bathing, dressing, eating and more. After undergoing many conventional therapies, medications and treatments, my mother and our family have learned of a promising therapy for my mom’s brain injury using non-embryonic stem cells and autologous cells from my mother, known as stem cell therapy. We have been in touch with a center in California called StemGenex and my mother has been approved for this type of therapy. This involves harvesting stem cells from her own bone marrow, refining them, and using these cells to treat the affected areas of her brain. This type of therapy has been promising and can result in a much improved quality of life, with possible return of the function of the muscles on the right side of her body. Funding this procedure is monumental and will cost upwards of $15,000 plus travel, lodging and meal fees. This procedure is not covered by health insurance, and we must provide our own transportation to San Diego. My mother needs your support to help her improve her quality of life and cannot afford this treatment on her own. To help with this financial burden, a fundraising campaign in Tracey’s honor has been established with Help Hope Live, a trusted nonprofit organization that has been providing community-based fundraising guidance to patients and their families for more than 30 years. All donations are tax-deductible to the full extent allowed by law, are held by Help Hope Live in the South-Atlantic Stem Cell Transplant Fund, and are administered by Help Hope Live for transplant-related expenses only. Your contribution is greatly appreciated. To make a donation to this fundraising campaign, please click on the yellow DONATE NOW button. Tracey is completely dependent upon donations like yours to make this dream a reality. Please remember that your donation could very well be the one that makes Tracey’s treatment a reality. Tracey thanks the following supporters for their contributions during the giving Tuesday fund raising effort last November. Together we raised almost 2500$ of which a little over 250$ was matched by the Bill and Malinda Gates Foundation. Unfortunately, the matching funds were exhausted very quickly and the biggest portion did not get matched, that being said, almost all of your individual donations were matched as the majority of those came in early. Thank you from all of us, to all of you!